My neighborhood is around fifteen years old. When the builder (Fox Ridge) landscaped the homes, they planted Bradford Pear trees, which are not native to this area. Our Bradford Pear died within the first month we lived here. I asked the builder to replace it with a native tree, and I was told that I had to replace it with another Bradford Pear. I planted a maple tree. For the past couple of years, the Bradford Pear trees have been splitting during wind storms. A few trees have split during calm moments. This one split across the street from us on Monday night during a storm. 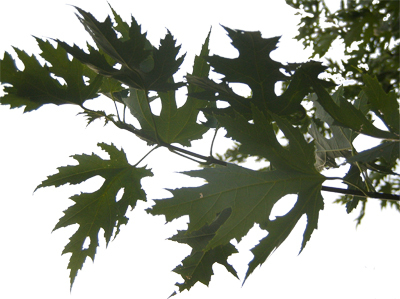 Now, the homeowners association is recommending native trees. Go figure. Because the builder of our subdivision planted cheap Bradford pears, we have lost lots of trees in the past few years during storms. The Bradford pears split down the middle in high winds. Luckily, our cheap Bradford pear died a quick death after it was planted. I replaced it with a cheap silver maple, which has thrived. 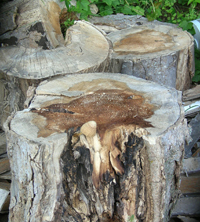 But….folks cut down trees and dump the stumps on Mr. Branstetter’s property. Is this litter? At least, it’s natural, although I don’t understand why the person cutting down the tree didn’t make firewood out of it.